Sailor Moon is a Japanese shoujo manga series that was later adapted into an anime series and aired between 1992 and 1997. It focuses on the life of Tsukino Usagi, a middle-school student who would become a super soldier called Sailor Moon. 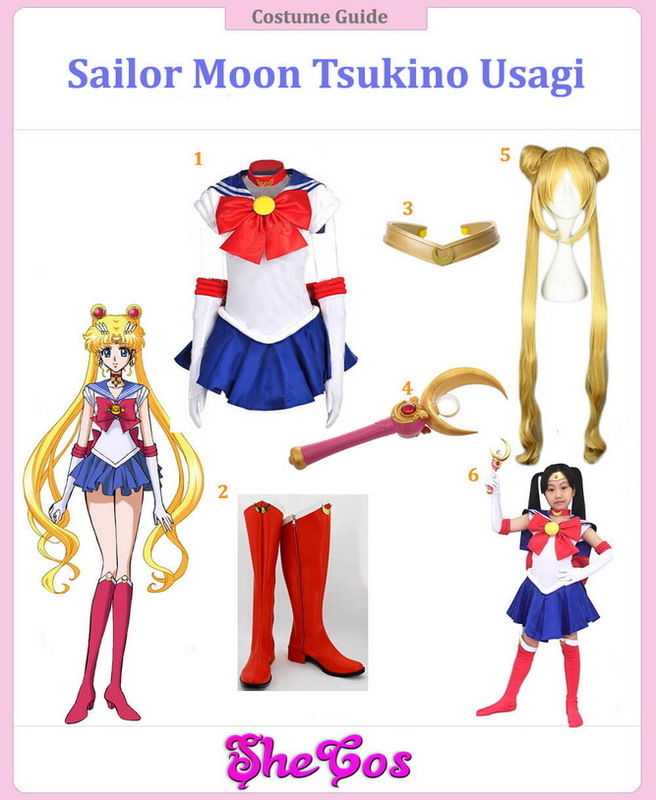 This article will be a Tsukino Usagi cosplay guide. Usagi got her powers from a talking black cat named Luna, who gave her a magical brooch to allow her to transform into Sailor Moon and protect the Earth from the forces of evil. Usagi, together with Luna, is looking for their princess and Silver Crystal to defeat evil. Being the main character of the series, Usagi, especially her Sailor Moon persona, is a favorite cosplay choice of a lot of women. 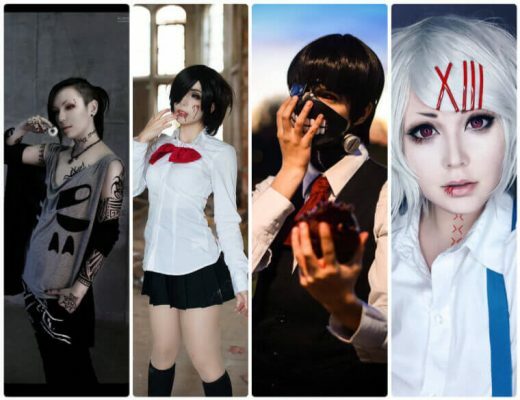 She is always an option for ladies who are looking to dress up during costume parties or comic conventions. Dressing up like Sailor Moon is not that hard to achieve, considering the character’s outfit looks just like a high school uniform. Tsukino Usagi is the main protagonist of the Sailor Moon series. She is a second-year middle-school student who is also the present-day form of Princess Serenity. The princess is the civilian persona of Sailor Moon, who is considered as the Soldier of Love and Justice. 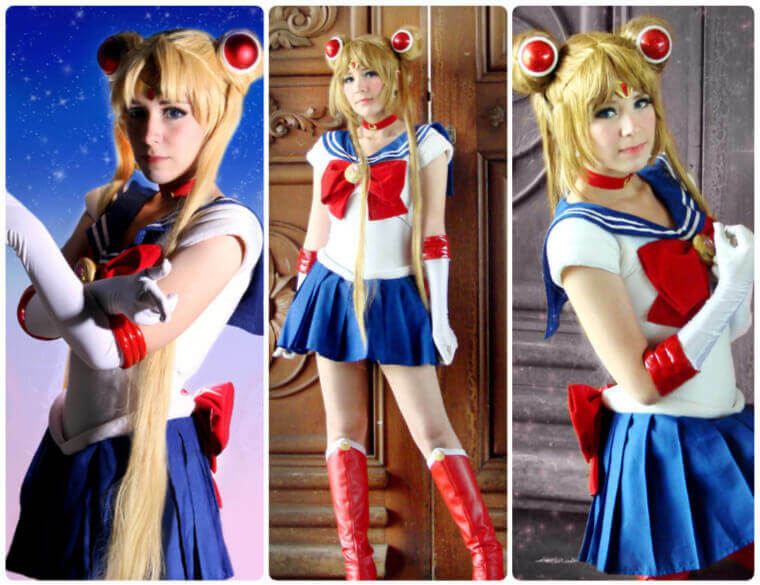 Now, when it comes to cosplaying Tsukino Usagi, it usually means her Sailor Moon persona. For this cosplay set, it will include the full Sailor Moon costume, which consists of a white sailor school uniform with a blue collar and mini skirt. The whole outfit comes with a big red ribbon, white elbow-length gloves with red bands at the elbows, and red knee-length boots. The cosplay set also includes the headband headwear, a long blonde wig representing Usagi’s hairstyle, and the Moon Stick prop. The collection also contains a full Sailor Moon costume for kids, so your daughter or niece can dress up as Sailor Moon with you. When you look at Tsukino Usagi, you wouldn’t think that she is someone who is capable of becoming a superheroine. She is someone who is immature and doesn’t view life seriously. But she does have heroic qualities like being compassionate, friendly, and the willingness to help others with their problems. 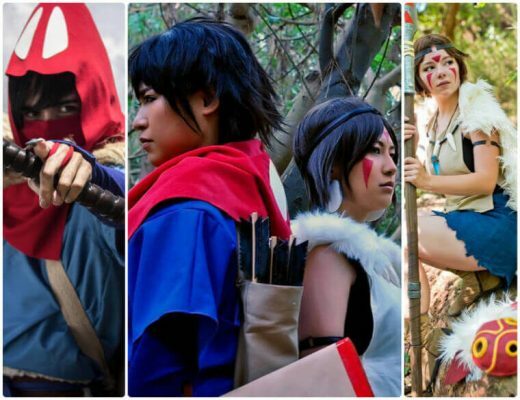 Her unique characteristics and being the leader of the Sailor Soldiers makes her a popular choice for a lot of ladies when it comes to cosplaying anime characters. Now Usagi is described as a young woman who has pale skin and a slim figure. And Usagi is one of the shortest characters in the Sailor Moon series. A lot of people also consider her as cute, especially when she is in her Sailor Moon persona. Looking at the Sailor Moon cosplay photos, you can see that Usagi’s Sailor Moon outfit reflects well in her cuteness.